So am I still in Exeter or have I suddenly been transported to the deep south USA as I step into the HQ of Eat the Smoke owned by top fella Christian; the smells coming from the smoker is enough to have you reaching for a baby bib to wipe away the dribble. Eat the Smoke was started in 2013 by mental health nurse Christian. 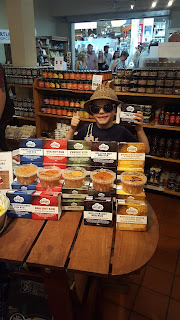 With a love of all things smoke, he has gone on to produce BBQ sauces, various dry rubs and smoked nuts. Christian also sells food such as dirty dogs and beef brisket at food fairs with the meat coming fresh from his own smoker. The BBQ sauce comes in two varieties: Original BBQ and Helluva BBQ sauce; the original has an amazing depth of flavour - sweet, sticky, smokey and rich but not overpowering and can be used to really enhance your meat prior to cooking or use as a wet rub on chicken wings overnight before cooking and you'll never look at a chicken wing in the same way again. It also works just as well as a table sauce to dip in whatever you fancy. You'll soon be reaching for your stetsons and lasso the neighbours pets! 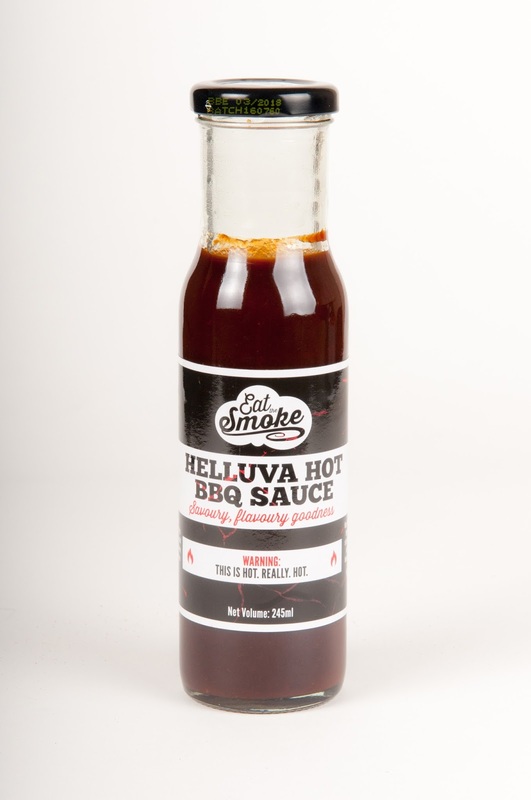 The Helluva BBQ sauce has a real chilli kick, from the addition of ghost, scotch, thai, and chipotle chillies, and this is a must for chilli heads. 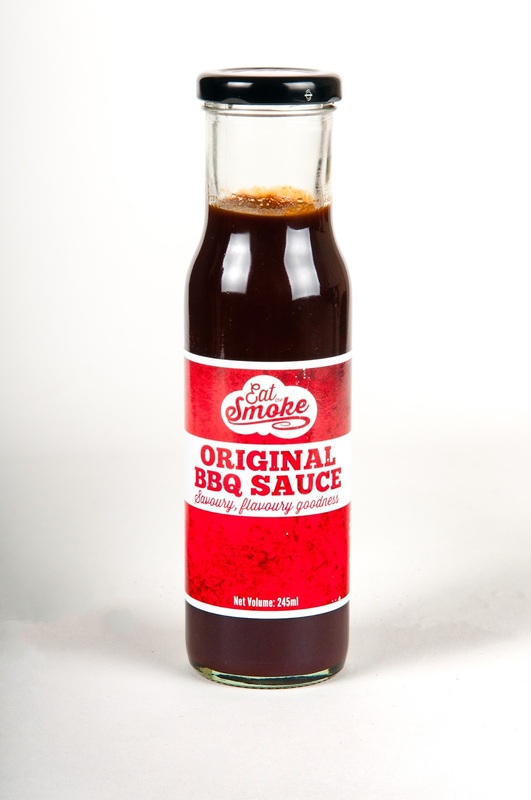 Don't be put off by this - this sauce is full of flavour and works very well, not only on ribs or beef brisket but using a drop in a chilli con carne or in baked beans; you will be in smokey chilli heaven. 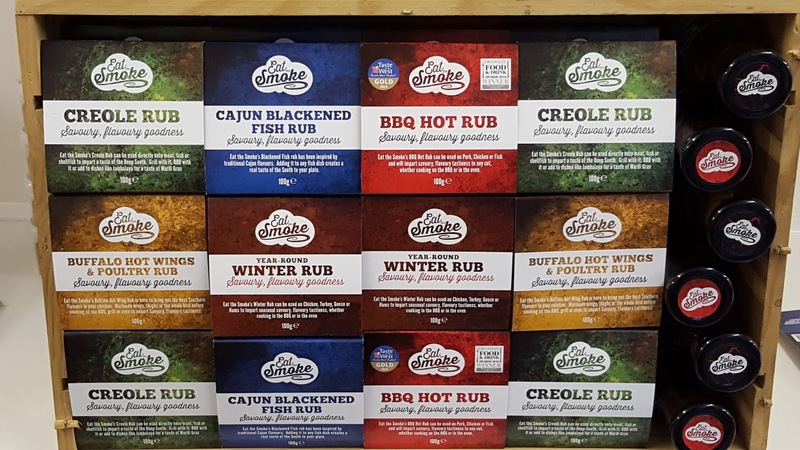 Not content with just the sauces, Christian has also produced a range of fabulous dry rubs which are not just for the bbq season but work amazingly well all year round. This rub is amazing for meaty fish; sprinkle onto a tuna steak before searing or monkfish tail. My 6yr old son's favourite use is to whack some onto kings prawns before frying - amazing! Also makes a damn good spicy rice, sooo good you'll have Uncle Ben banging on the door for the recipe. 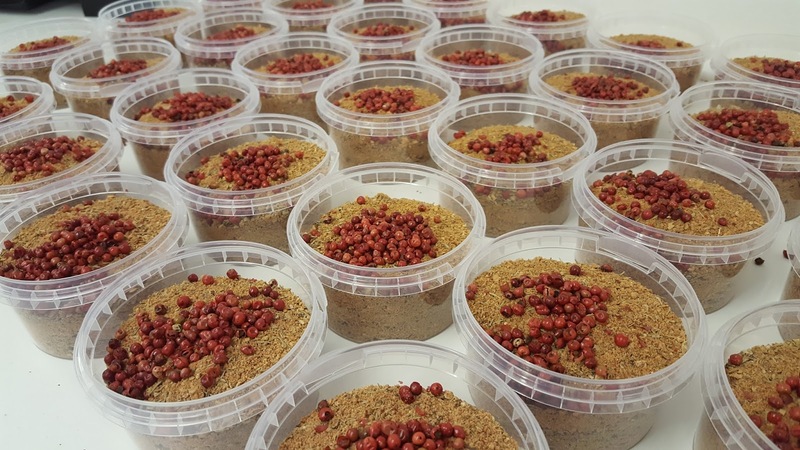 A very versatile rub with a warming kick of chilli. I love this on a good rump steak half an hour before cooking or on a piece of braising steak then slow cook in a casserole. This is the dry version of the sauce and it just as good, with the clever mix of chilli but use wisely and have a beer at the ready. I love to rub some on sausages before cooking to add a real bang to your bangers. A very good rub which works on fish just as well as meat. Use this to make a gumbo or fish stew; I love to cover a whole poussin with this and then roast. The latest addition to the collection is this seasonal treat; a powerful rub containing all things to get you in the festive mood such as cranberries and cloves. This is great rubbed onto ham before baking or add to a game pie, but be warned - don't use this late Christmas eve - if Santa arrives down your chimney and smells the amazing scent this delivers, he may never leave. 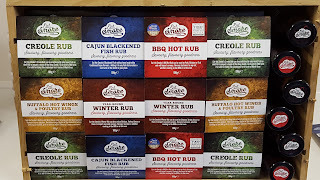 The thing about the rubs and the sauces is that they are certainly not just for BBQ season but a year-round product that certainly won't get lost in the back of your cupboard. You will find so many uses for all the products and without too much effort as the well put-together range will take all the hard work away from you, leaving you to dream about being a cowboy and riding away into the sunset on your horse. I have to mention Christian's nuts (steady on) - hot smoked almonds or cashews. Simply hot smoked with the perfect balance of spices, these are astonishing, the best nuts on the market and should be in every saloon in the South West and beyond. Would I recommend Eat the Smoke? Very much so! 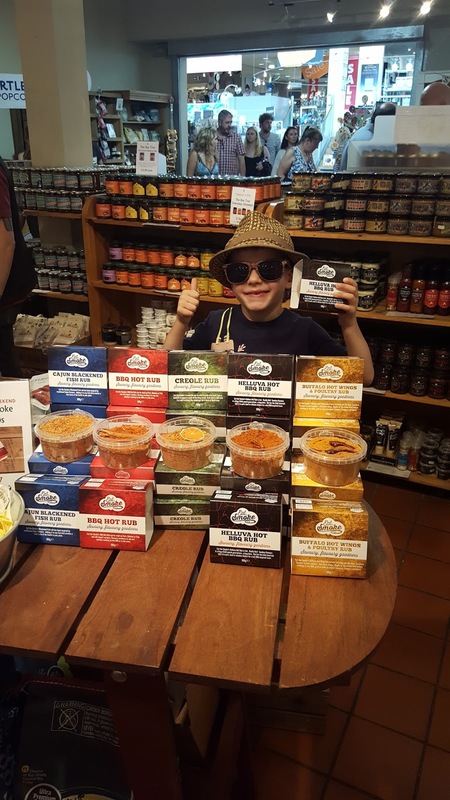 The whole range has a huge amount to offer and has versatility all year round on all types of meat, fish or even vegetables. The products have been professionally created by a top bloke and I very much look forward to seeing what comes out of Eat the Smoke HQ next! Most items are gluten free - just check! 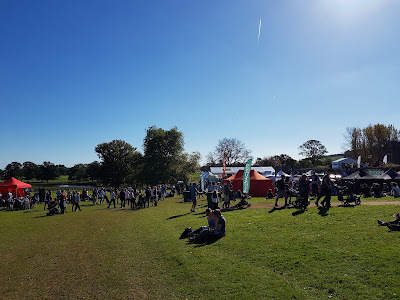 Well get on the website here or buy in Darts Farm, Greendales Farm Shop, Millers Farm Shop or at many food festivals around the South West. When you're at your next food festival, you need to sample Christian's hot food; cooked using his own rubs, this top end grub has people queuing at his stand where not only will you get great BBQ street food but a smile and a friendly chat from the king of all things smoke. *Photos courtesty of Eat the Smoke.